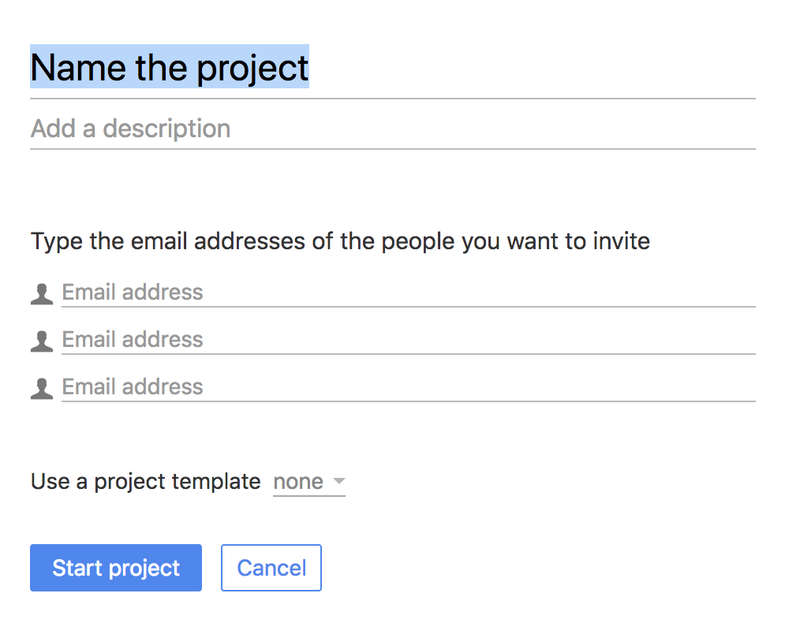 A project is a board where you collaborate with your team and organize your tasks into lists. Tasks have to-dos, discussions, time tracking, statuses, tags, documents, files and more. Create a new project - go to the "Projects" page and click on "New project" button. Name your project and click on the "Start project" button. A new project is created and you are redirect to the project page. Now you can start adding tasks.